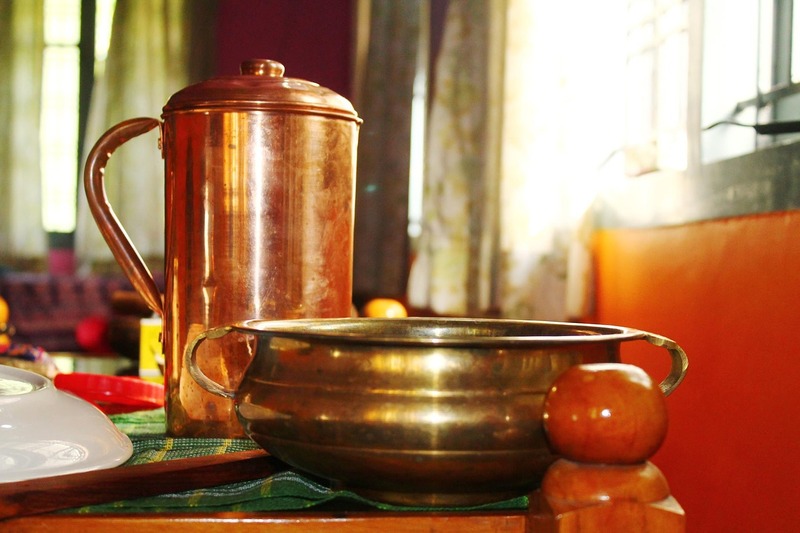 History has shown that people across the world, especially in Asian countries, have known the myriad health benefits of drinking water stored in copper vessels or wearing copper accessories. And now, there are current medical studies backing up this ancient practice. Let us look at 8 reasons why you must ditch that morning cup of coffee or tea and switch to copper infused water instead. According to a 2012 study published in the Journal of Health, Population, and Nutrition, when you store water in a copper vessel for up to 16 hours at room temperature, the presence of harmful microbes goes down. In fact, it is reduced so much that researchers deduced that copper held promise as a point-of-use solution for microbial purification of drinking-water. In another study, from the University of South Carolina, researchers explored the purifying power of copper. They found that antimicrobial copper surfaces in ICUs kill about 97% of bacteria that are capable of causing hospital-acquired infections, which reduce the risk of acquiring an infection by almost 40%. The research also found that the rooms with copper-surfaced objects had less than half the infection incidence than those rooms without copper. Anaemic people suffer from fatigue, shortness of breath, muscle aches, tingling or crawling feeling in the arms and legs or dizziness. You need copper for efficient utilization of iron, which is essential for blood-building and tackling anemia. Copper keeps a good level of hemoglobin (iron) and regulates its flow in your blood vessels. Copper also helps in improving the white blood cell count — a part of the immune system which protects the body against infections and foreign invaders. The brain transmits impulses from one neuron to another through synapses. These neurons are covered by a sheath which is known as the myelin sheath which acts as a conductive agent, helping the flow of impulses. Copper plays a key role in this as it helps in the synthesis of phospholipids which are essential for the formation of these myelin sheaths. This will make your brain work much faster and efficiently. 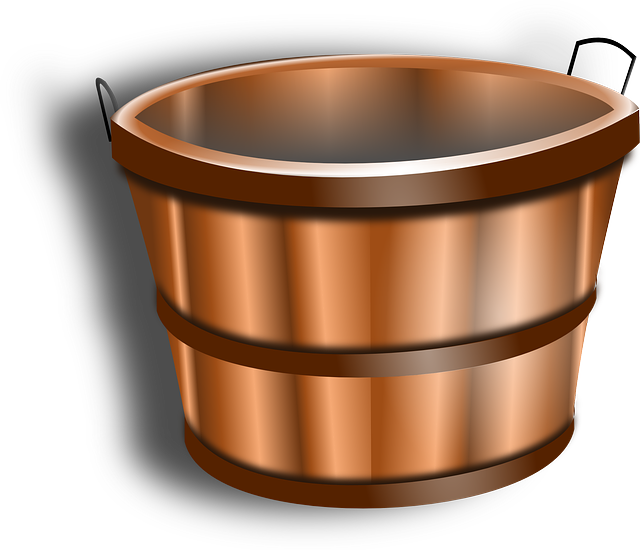 Besides that, copper is also known to have anti-convulsive properties which help in preventing seizures. When copper dissolves in water, it prevents acidity and gas. It also helps in reducing contractions in your stomach. When your food is digested properly, the probability of stomach infections and ulcers will go down. This is the reason why drinking copper water first thing in the morning is recommended. This helps the empty stomach absorb it properly. One common factor amongst people suffering from thyroid diseases is that they usually have low copper levels in their body. Commonly seen in people with hyperthyroidism (excessive thyroid hormone), the deficiency may also be seen in those with hypothyroidism (low levels of thyroid hormone). The thyroid gland needs copper as an important trace material to function optimally. The functioning can get out of sync if there is a lack of copper. Drinking copper water can make up for this possible deficiency and regulate the functioning of the thyroid gland. Copper has extremely potent anti-inflammatory properties, which helps in relieving aches and joint pains. People suffering from arthritis and rheumatoid arthritis can especially benefit from drinking copper water. Moreover, copper has bone and immune system strengthening properties. This makes it a perfect remedy for arthritis and rheumatoid arthritis as you can find great relief from the aches and pains of these diseases. You can even use copper wear like copper socks to accelerate the healing process. Do you have acne or blemishes that refuse to go away? Then drinking copper water would be a good idea. This helps you as copper is the main component in the production of melanin, a pigment that mitigates the color of your eyes, hair and skin. Copper also helps in producing new cells which replenish the top most layers of your skin. Melanin helps your body stay safe from sun damage, speeds up wound healing and covers scars. It produces new cells which help you get smooth, blemish-free and clear skin. If you want to lose some digits on the weighing scale, try drinking copper water on a regular basis. It won’t just tune the digestive system to perform better but also help in breaking down the fat and eliminating it more efficiently. This helps your body keep only what it requires and discard the rest. Copper is slowly gaining popularity, not just as vessels but even as copper jewellery and copper clothing. More and more people are realizing how beneficial it can be to introduce copper in their lives for good. So, what are you waiting for? Get some copper and see the amazing things it can do for you. Kunal is a young and passionate entrepreneur, fascinated by the workings of the human body and natural solutions for common health problems. He’s single-minded in his aim to make Copper Defence a brand that’s recognized across the globe, by partnering with global brands to make these high-tech materials easily accessible for everyone. If you’d like to get in touch, email Kunal at [email protected] or visit copperdefence.com for copper-infused clothing, pet accessories and more. 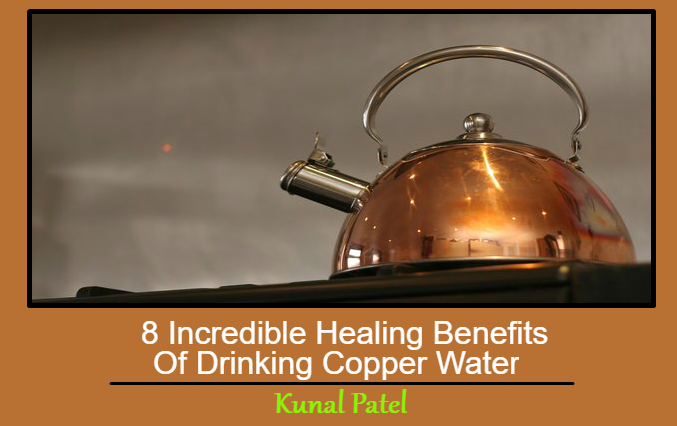 This Concludes: 8 Incredible Healing Benefits Of Drinking Copper Water. What Did You Think Of This Post? Let Us Know By Rating Below! This is a very informative article regarding copper water because now a days drinking water is not that safe as it is shown on TV commercials because the water that comes to us is gone through a lot of process and chemicals which sometimes results in disturbance in digestive system and other problems like diarrhea and other infections. Useful Information about copper water benefits. Today I learn New Thinks. Thank you for sharing.